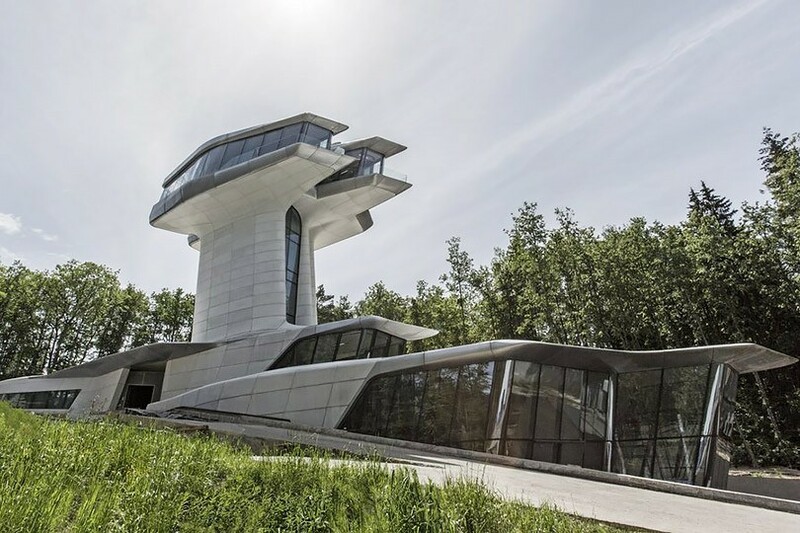 In Barvikha, the private residence Capital Hill was completed on the project of the architect Zaha Hadid: the owner of the futuristic "summer residence" is the billionaire Vladislav Doronin, whom the famous architect called the "Russian James Bond". 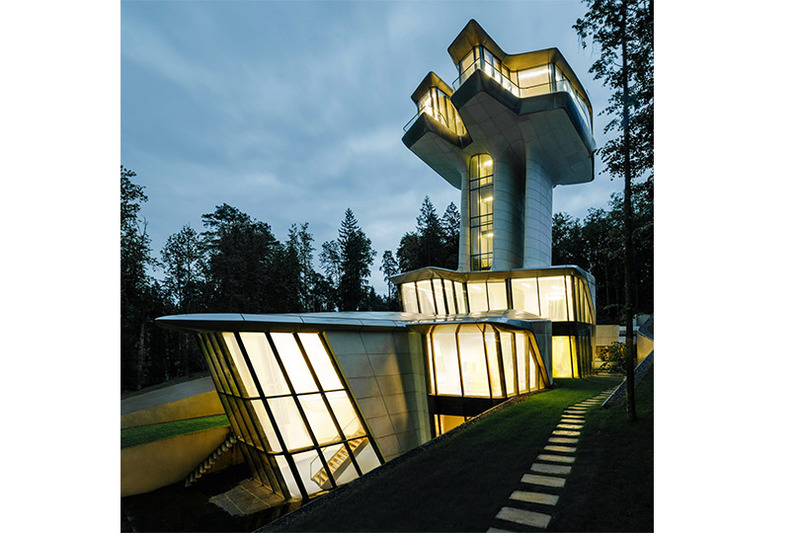 Vladislav's residence was completed ... 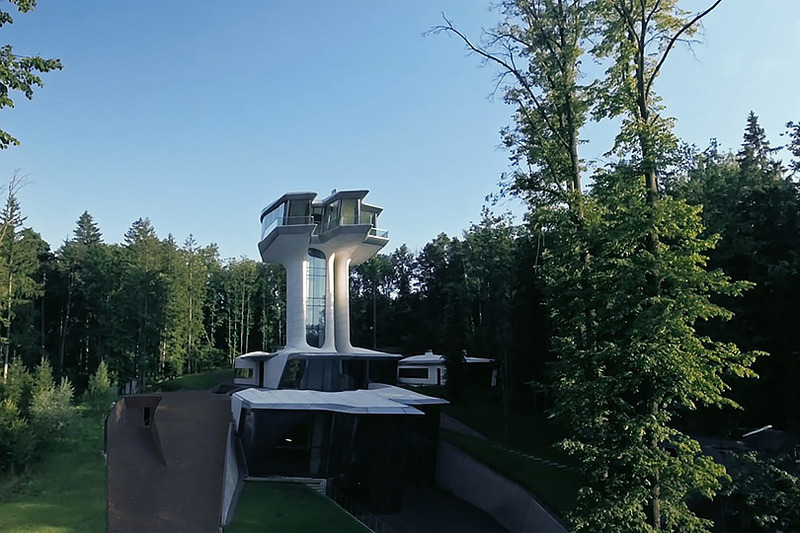 The cost of one of the most unusual examples of modern private architecture in Russia is $ 140 million. "I want to wake up and see only the blue sky. No neighbors, I want to feel free, "- the owner of the hotel chain Aman, Vladislav Doronin formulated his dream about ten years ago, having met with the famous architect in London. 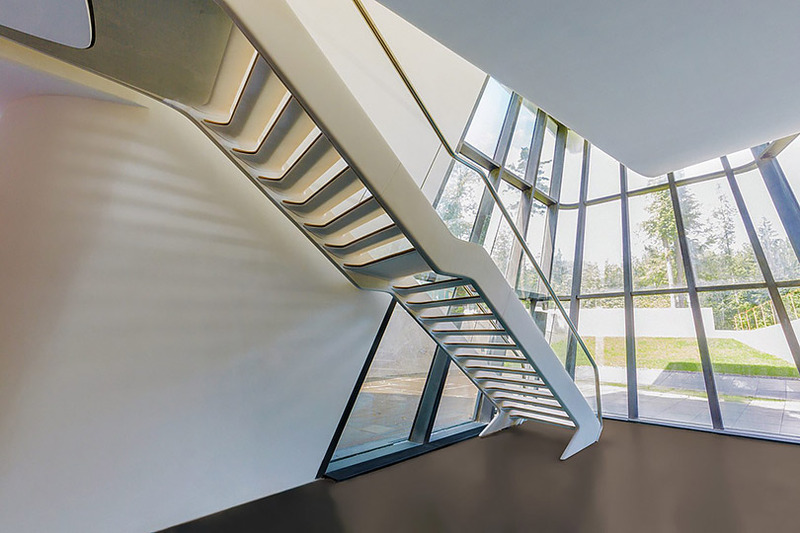 Zaha Hadid accepted the challenge, instantly drafting a future "space ship" on a napkin. 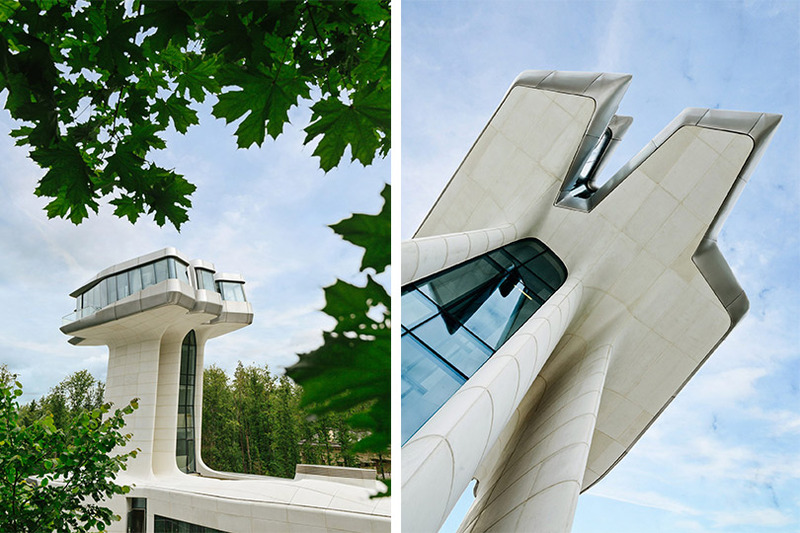 Hadid managed to fully develop the project, and it was completed by Patrick Schumacher, who heads Zaha Hadid Architects today. 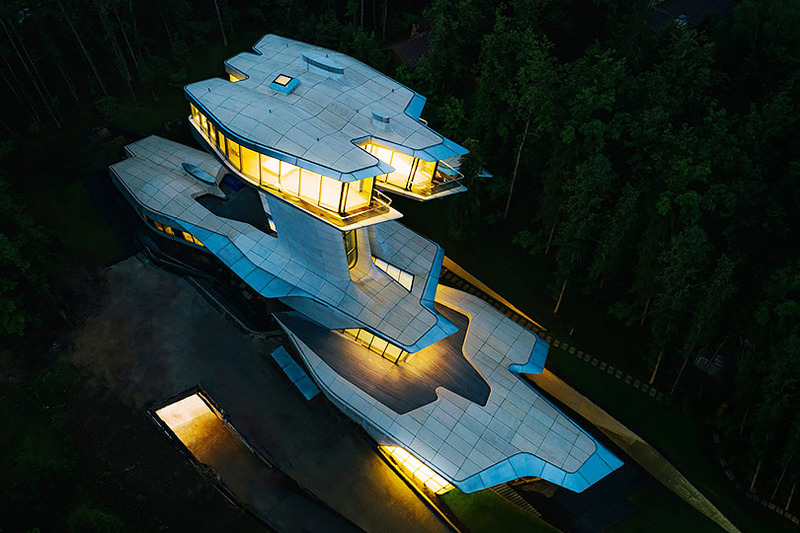 There is a bedroom of the lover of the blue sky on the "captain's bridge" of the amazing house-ship, the area of ​​the house is more than three thousand square meters, containing a private pool, spa, library and nightclub. 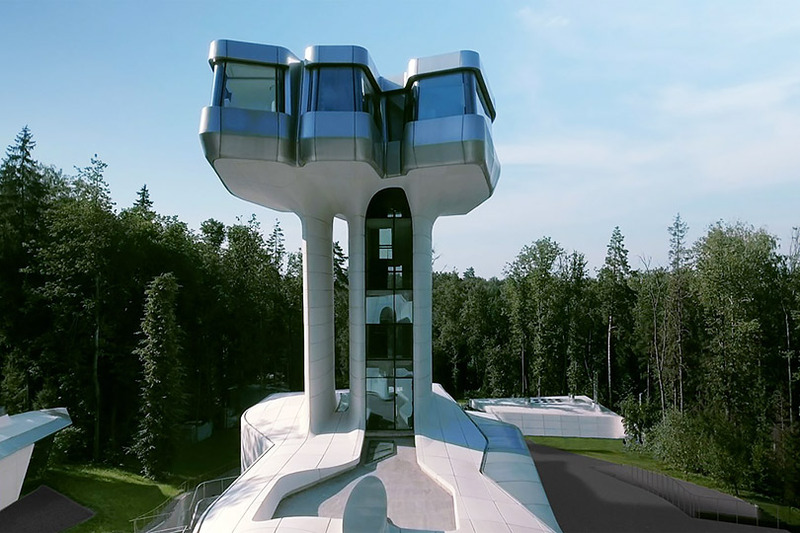 The only thing that Doronin regrets is that he can not personally thank Hadid for the extravagant and vivid embodiment of his dream into reality.